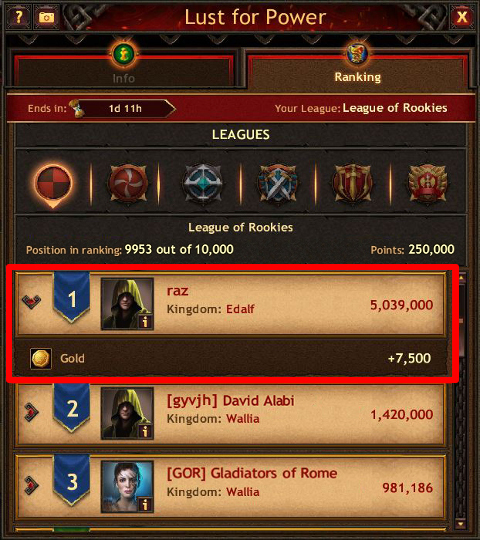 The higher the level of your Palace, the stronger your League. 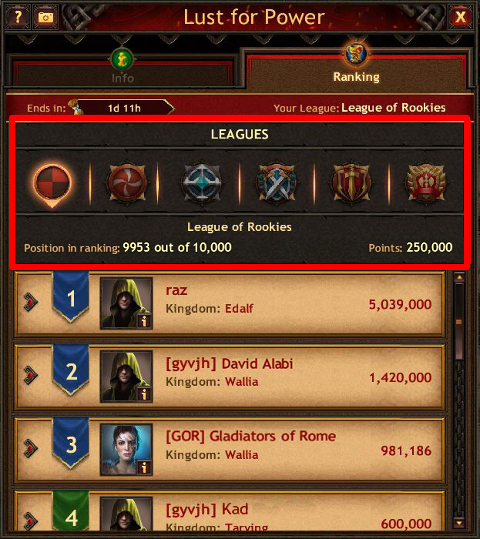 Your current League is indicated in both the “Info” tab and the “Ranking” tab. 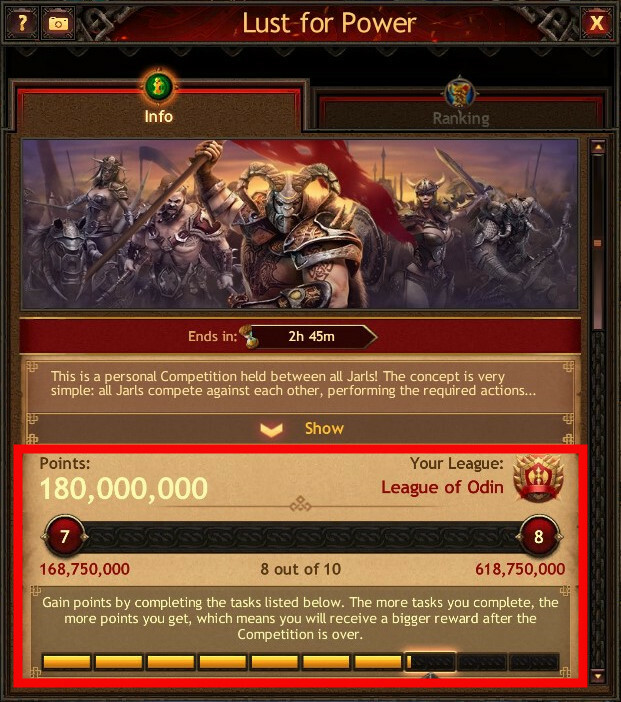 You can enter a stronger League once you have upgraded your Palace to a certain level. Moving to another League is only possible after the Competition is over. There is a certain amount of time provided for completion of the Competition tasks. 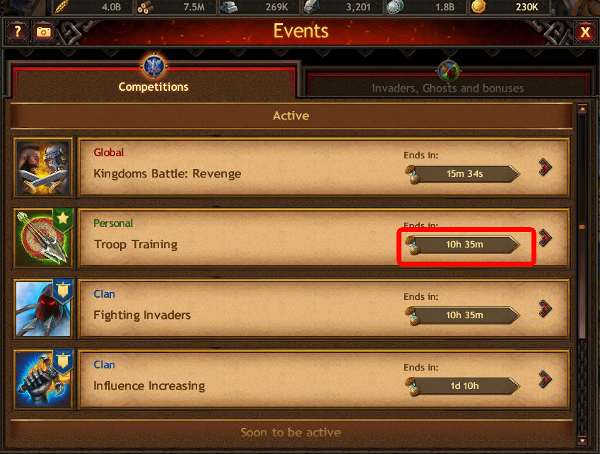 The timer shows how much time it is left before the Competition ends. 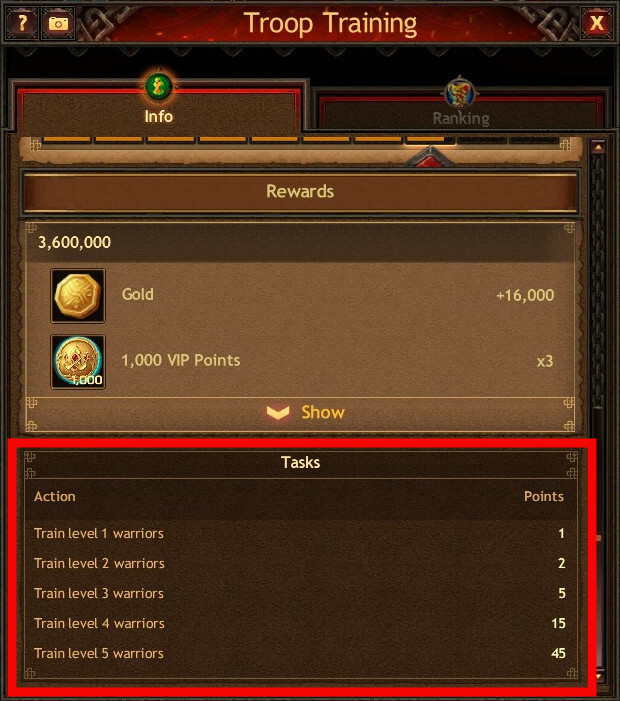 The tasks to complete and the number of points awarded for each task are displayed in the “Info” tab. By completing the tasks, you earn points and can pass the checkpoints. Each checkpoint requires a certain number of points. Once you have passed a checkpoint, you get a reward indicated in the “Info” tab. You may complete the Competition tasks any number of times until the Competition is over. The more points you earn, the better your chances of taking a top place. 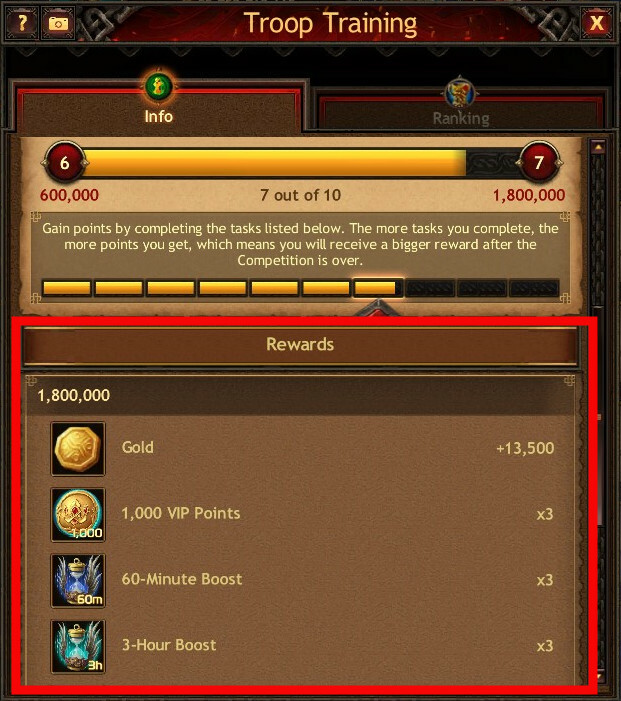 The players who have earned maximum points get additional rewards. The winners of each League are shown in the Ranking tab. To see what reward is waiting for a particular player, click their name. The higher the League, the more substantial the reward.